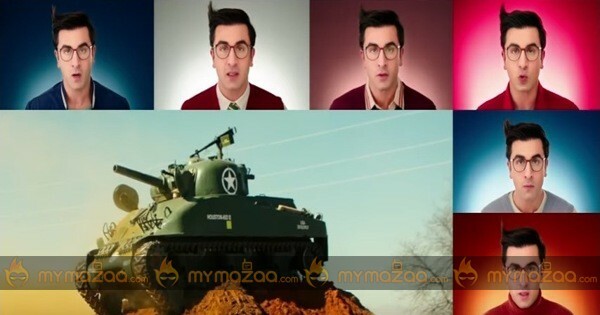 Disney presented to the audience the much awaited 'World of Jagga' which gives us great many insights into the film.In a unique marketing call, the 'Jagga Jasoos' team has chosen to introduce the audience into the world of their film, by releasing an introductory content piece instead of the usual film teaser or trailer. 'World of Jagga' proves to be a brief trip into the adventurous life of Jagga Jasoos, where by this newly released content piece showcases all the madness that unfolds in his life. Setting benchmarks for other films, this newly released content piece is an auditory and visual delight, with only 1 dialogue mouthed by Ranbir in the last frame. The visuals also exhibit Katrina Kaif accompanying Jagga aka Ranbir Kapoor in his many adventures.Set against the backdrop of a larger than life canvas, with a horde of animals such as Ostriches, Leopard, Zebra amongst an adventurous set up, the World of Jagga also gives us glimpses of explosive action sequences.Bringing to the silver screen the enchanting chemistry of Ranbir Kapoor and Katrina Kaif, 'Jagga Jasoos' proves to be an entertaining take at the action-adventure genre.Produced by Disney and Picture Shuru Entertainment, 'Jagga Jasoos' is Directed by Anurag Basu. The film is slated to release on April 7th, 2017.